Ancient Byzantine nobility costumes, Toga, Tunica. Byzantium Knight in armour. 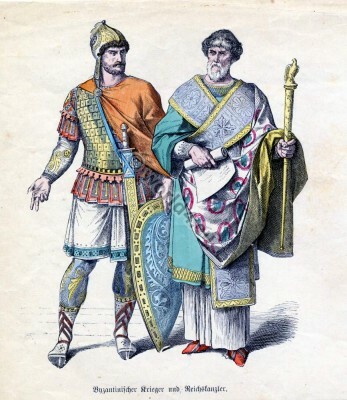 Byzantine costume history. 5th to 6th century.